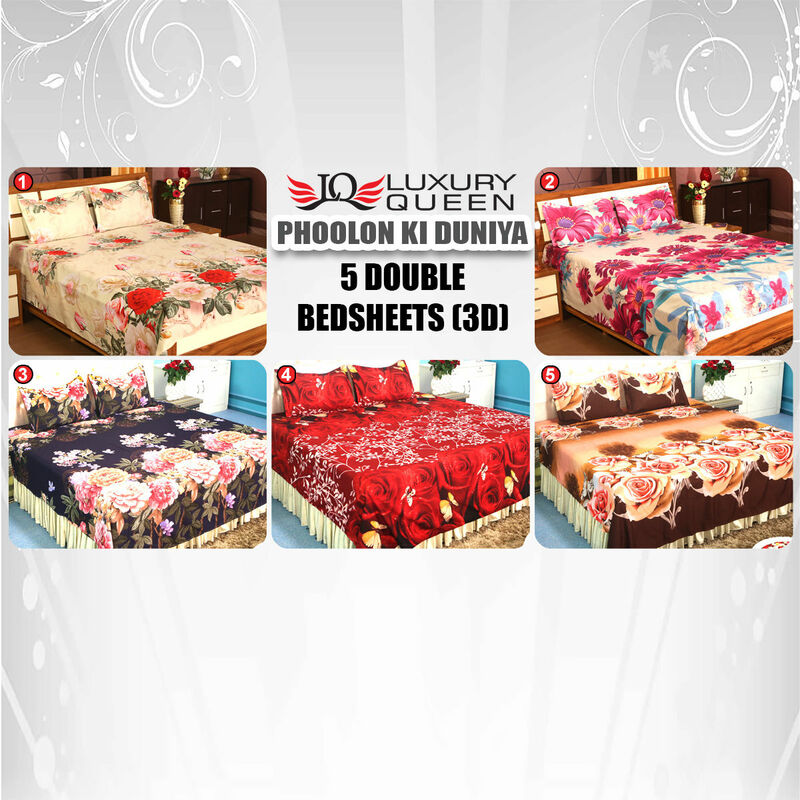 Brighten your bedroom with this Set of 5 - 3D Bedsheets that will surely add colors to your living spaces. 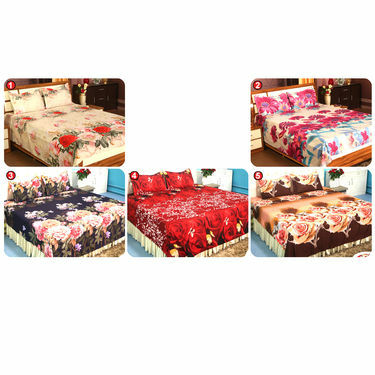 Crafted from Soft feel fabric, they are skin-friendly, shrink-proof & durable ensuring comfortable & undisturbed sleep. They are color fast and anti-wrinkle thus easy to maintain and wash. 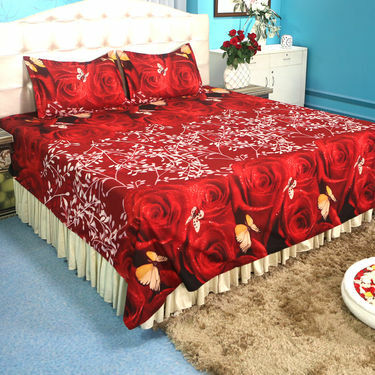 The matching pillow covers complements the bedsheet and further enhances the entire look of the room. 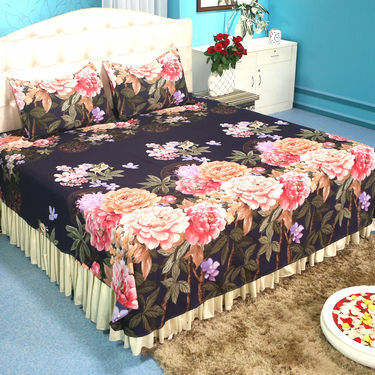 Blue base bedsheet with pink & yellow daffodils flower print. 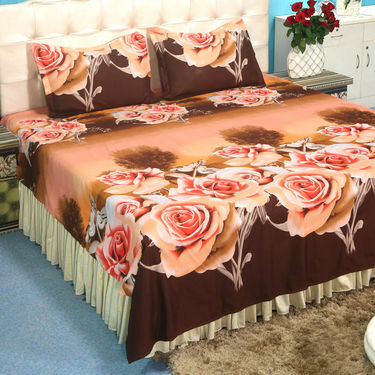 Which type of Material are these bedsheets made up of? Phoolon Ki Duniya - 5 Double Beds..VSSet of 5 Floral 3D Bed Sheets wit.. Phoolon Ki Duniya - 5 Double Beds.. VS Set of 5 Floral 3D Bed Sheets wit..
Phoolon Ki Duniya - 5 Double Beds..VSSatrangi Pack of 5 - 3D Bedsheets.. Phoolon Ki Duniya - 5 Double Beds.. VS Satrangi Pack of 5 - 3D Bedsheets..
Phoolon Ki Duniya - 5 Double Beds..VSSet of 5 Colorful Floral 3D Bedsh.. Phoolon Ki Duniya - 5 Double Beds.. VS Set of 5 Colorful Floral 3D Bedsh..
Phoolon Ki Duniya - 5 Double Beds..VSSet of 5 Nature's Love 3D Print B.. Phoolon Ki Duniya - 5 Double Beds.. VS Set of 5 Nature's Love 3D Print B..
Phoolon Ki Duniya - 5 Double Beds..VSPack of 4 Jaipuri Bedsheets (4DDB.. Phoolon Ki Duniya - 5 Double Beds.. VS Pack of 4 Jaipuri Bedsheets (4DDB..